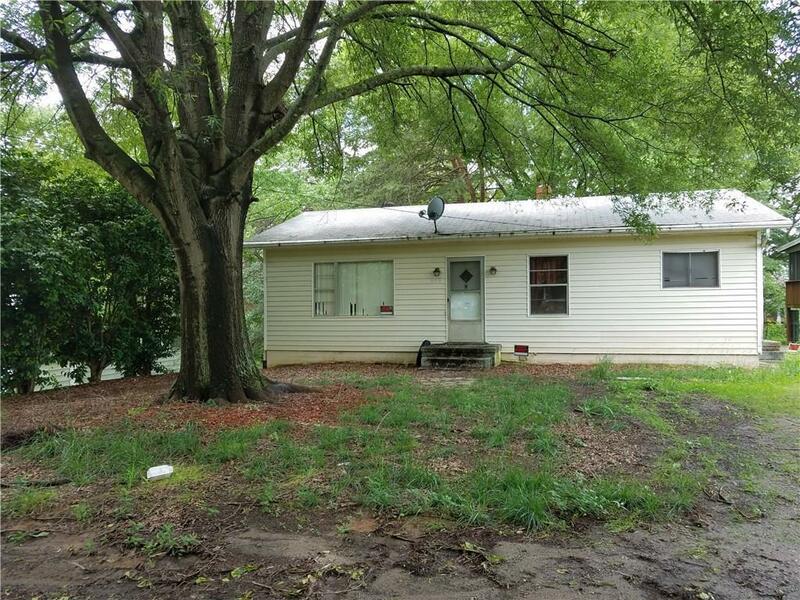 Abundant potential in this fixer-upper bungalow in NW Hickory near all the amenities--Crawdads Stadium, municipal airport, lots of eateries, just a couple of minutes from downtown, access to major highways 321 and I-40. 2BR/1Bath split bedroom plan has generously sized rooms considering its overall cottage style. Eat-in kitchen with lots of cabinets and separate dining area. Hardwood floors (could use refinishing), full basement with interior and exterior access suitable for storage or finishing, workshop, and has single garage opening on one side. Level front yard with a huge shade tree! Slopes slightly in back with more shade trees. Very nice area, quiet street. Investor or first-time buyer special, very affordably priced. Sold strictly as-is. Please note in photos that home currently shows lots of clutter but has now been cleared out and cleaned up. New photos will be submitted soon.